Dr. Renee Rember is a licensed veterinarian who enjoys treating a wide variety of pets. 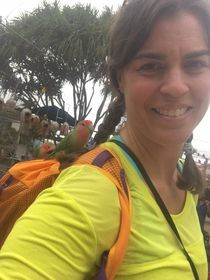 As a graduate of the University of Florida College of Veterinary Medicine in 2005, she absolutely loves all animals, but does admit to having a soft spot for those older pets! Dr. Rember’s interests include internal medicine, oncology, long-term critical care and soft-tissue surgery. On top of providing excellent medical care for animals, Dr. Rember is proud to maintain a beautiful saltwater ecosystem in the waiting area of Chena Veterinary Clinic. She invites anyone to observe this ecosystem and enjoy the hypnotically beautiful ballet of mingling fish and seahorses in the tank of our kid-friendly waiting area.